The average cat has a lifespan of 15 to 20 years. 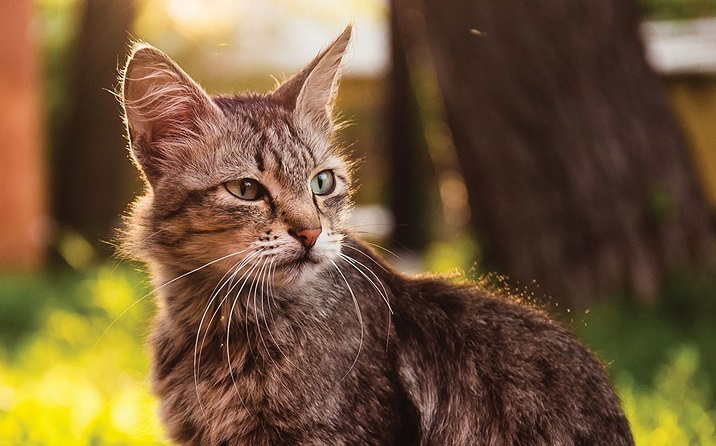 Advances in veterinary treatments and nutrition alongside a tendency to keep indoor-only cats has contributed to this longer life expectancy. Even so, cats over the age of seven to eight years old are considered senior. This is not based on their lifespan, but rather on their biology and the physical changes that begin to occur at this time. As they age, a cat’s dietary, exercise, and health care needs will change, so it is important that you monitor these changes closely. 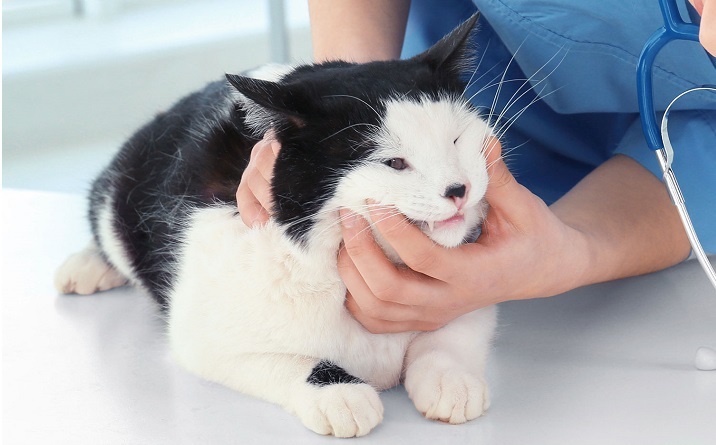 If you notice that your cat is displaying any of these signs, speak with your local Greencross Vets about developing a care program to help you meet their evolving health requirements. Always pay attention to changes in your cat. They hide their feelings well, so if they’re ill or something is wrong, it can be hard to identify. Senior cats have special health needs that are different to those of adult cats and kittens. Being able to detect changes in your senior cat’s behaviour and habits early, and scheduling regular health checks with your veterinarian, will help to maintain their good health and prevent serious illnesses and diseases. Monitor your senior cat’s weight and ensure their diet is meeting all of their nutritional needs as they age (for example food that will support their joints). Older cats also require food that is easy to digest. If you are unsure of what’s best for your senior cat, reach out to your local Greencross Vet who will provide your cat with the right food for their age. Older cats are likely to develop arthritis, the symptoms of which are often mistaken to be part of a cat’s normal aging process. Look out for your senior cat becoming less active, sleeping more or being unable to reach their favourite perching places due to joint pain hindering their mobility. Help your cat by keeping their bedding and toys in accessible areas and providing them with food and supplements that promote joint health. Senior cats are susceptible to dental diseases that have built up throughout their lives. 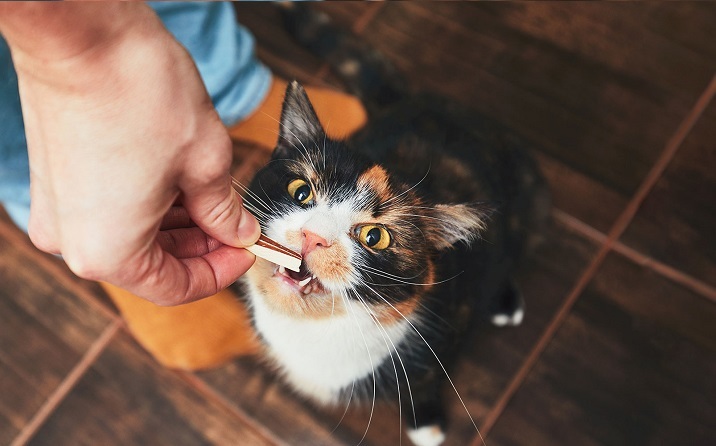 Inspect your cat’s mouth and gums regularly and maintain their dental health through specific diets, treats, and toys. If you notice yellow teeth, bleeding gums or other issues, book an appointment with your Greencross Vet for a dental checkup before the problem worsens. As they age, many cats experience kidney damage where their kidneys degenerate and become unable to filter toxins and waste from their body. This waste then builds up in their bloodstream and causes them to become unwell. While this damage is irreversible, if the disease is detected early, there are treatments available to maintain the health of the remaining parts of the kidney. Less serious conditions such as urinary tract diseases can lead to the development of chronic kidney disease, so be sure to take your senior cat in for regular vet checkups, especially if you notice any adverse symptoms. Greencross Vets recommends that healthy older cats be examined by a veterinarian twice a year. Pets age much faster than we do, and six months for a senior cat is similar to three years for us, which is a significant amount of time for health problems to develop. Taking your cat to the vet for regular checkups will help to detect problems earlier, resulting in a happier and healthier feline friend. Certain breeds of animals are genetically predisposed to becoming heavier-set as they grow and age. Identify if your pet has a weight problem and learn how to prevent health risks associated with excess weight. 4 in 5 of our dog and cat patients over three years of age have some form of dental disease. Regular vet dental checks will help to identify any development of disease.